Shoes depicts the personality of a person. So, if you want to know about one’s style sense you can easily find out by looking at his shoes. Insignia is one of the most famous shoes brand. It always comes up with classy and different collection. Classy and hot heels are trademark of Insignia. They a huge range of formal and casual shoes. This summer Insignia has outdone itself again by introducing the most stylish and breathtaking Footwear summer collection you have every seen. All the shoes are stylish, classy and comfortable. Insignia summer collection emphasis on bright colors. 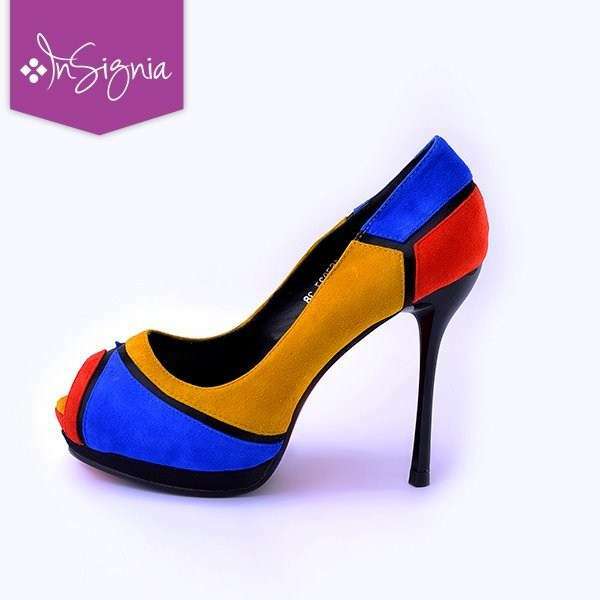 The casual pumps and sandals are available in all vibrant and bright colors. The most admiring thing about Insignia is that all the shoes whether they are formal or casual are very comfortable to wear. The summer collection covers all the colors a perfect match for all your summer dresses. You can order it in any color you want. The color combination of sandals and pumps are amazing. All the shoes are exquisite to look and fun to wear. Insignia is also offering decent and graceful sandals and pumps collection for ladies. So, for all kind and age group of ladies Insignia is the best choice. The formal shoes collection of Insignia is also flawless. This summer Insignia is offering a wide range of stilettos, strappy high sandals, wedges and pumps. If you are into vibrant and funky shoes then Insignia is the best choice for you because its summer collection is full of fun stilettos. If you want classy and hot heels then there is a room for you too because Insignia’s summer collection is offering formal heels in all colors. Have a look at the complete summer collection of Insignia. Overall, the summer collection of Insignia is quite impressive. Insignia has tried to cover all the kinds of styles in this collection and the color combinations are simply magnificent. I think if you want fun shoes then you should all visit the nearest Insignia outlet. For more information visit the Official Facebook Page.